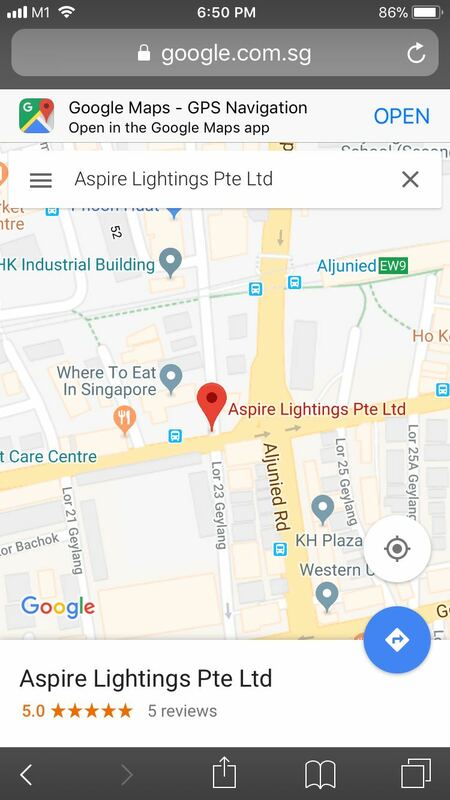 1) Why shop at Aspire Lightings? We understand it is very time consuming to visit lighting retail shops and incur hefty markups. Hence, we work directly with manufacturers to eliminate the middleman and offer the online store for you to shop anywhere at your comfort. We also maintain a showroom within our warehouse for customers who wish to view the lights and purchase instantly. 2) How do I place order? Click on your desired item and add to shopping cart. Once you have completed your selections, proceed to shopping cart for check out. Kindly ensure that all selected items and your information are correct before confirming your purchase and payment. 3) How do I apply discount code for my order? Please enter the discount code before checkout and payment. 4) What is the mode of payment ? We accept payments made via Visa, Mastercard and Amex. 5) Can I amend or cancel my order after payment? Once order is placed, amendment and cancellation is not allowed. Kindly check your order before payment to avoid any inconvenience. 6) Has my order been scheduled for delivery? The delivery is usually 2-3 working days upon we receive your order. We will email to you the delivery confirmation email once your order is ready to ship. For urgent order, kindly opt for “Local Pickup”. 7) What should I do if an item is missing from my order ? Please call us within ONE working day and we shall advise you accordingly. 8) Is delivery service available? FREE delivery within Singapore only for purchase above SGD$250. For purchases below SGD$250, the shipping rate for each item is specified during checkout. The delivery charge varies according to the item packaging weight and size. 9) Can I collect the item at your store? Yes, select “Local Pickup” before checkout. Please call us at 6909 0528 one working day in advance to make an appointment before collection. 10) Do you provide installation? 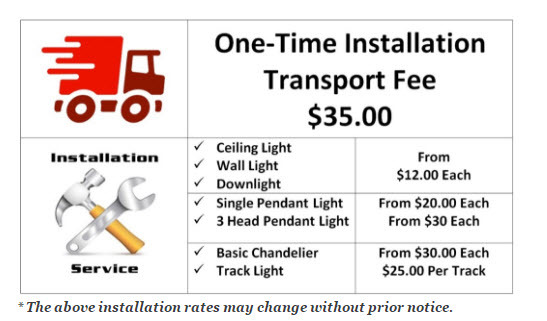 What are your installation rates? Yes. Please select “Installation required” before checkout and we shall contact you. 11) Are your items in-stock ? No worries about availability as we have a warehouse to stock the items. Any model which requires pre-order will take about 4-6 weeks to deliver. 12) Where is your showroom? Our showroom is situated within our warehouse at 37 Lorong 23 Geylang, #09-04 Yu Li Industrial Building, Singapore 388371. FREE parking within the building compound and 5 minutes walk from Aljunied MRT, please see below MAP for directions. 13)  What is the warranty period for your products ? Yes! For more details on the warranty, please refer to our  Terms & Conditions  or to the individual product description. 14) Do you ship internationally? Yes, please call us at +65-69090528 or email to sales@aspirelights.com for enquiries and shipping rates.